Lots of Walt Disney World Christmas announcements this week! Here’s what’s going on at the parks this holiday season. 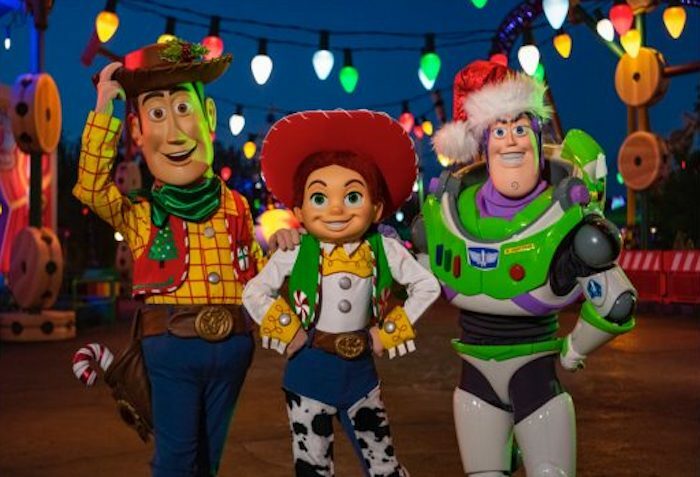 Woody, Jessie, and Buzz will be dressed in their holiday best at Toy Story Land. Photo courtesy of Disney Parks Blog. 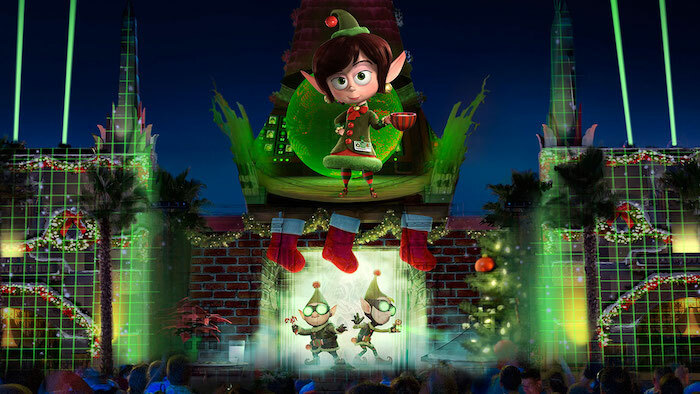 Disney revealed earlier this year that the Flurry of Fun festivities at Disney’s Hollywood Studios would expand to Toy Story Land this holiday season. Disney Parks Blog recently gave us a look at what’s coming! Toy Story Land will get a Christmas overlay and will feature festive decorations like oversized popcorn garland, Green Alien ornaments, and more. Guests will be able to hear sleigh bells ringing while on Slinky Dog Dash, and Alien Swirling Saucers will feature two new holiday songs and themed lighting. If that Disney Parks Blog video doesn’t get you hyped, I don’t know what will! “Jingle Bell, Jingle BAM!” Photo courtesy of Disney Parks Blog. “Jingle Bell, Jingle BAM!” will return to Disney’s Hollywood Studios this holiday season, and so will the popular dessert party! The party begins in the Chinese Theatre Courtyard, where attendees can enjoy holiday-themed snacks and desserts, as well as beer, wine, and specialty beverages. There will also be a VIP character meet-and-greet available! 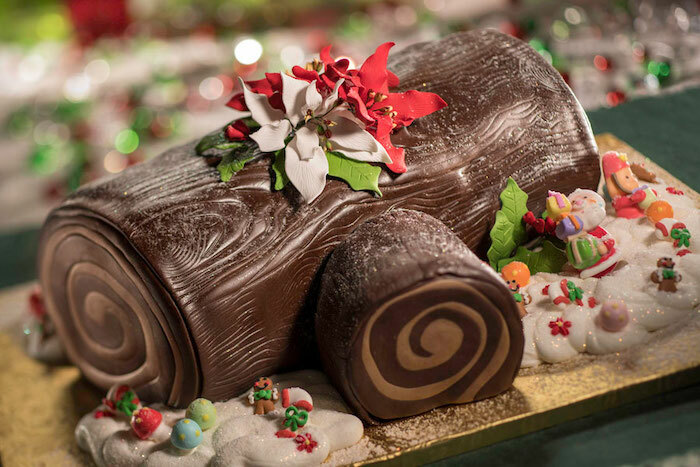 Guests can enjoy holiday-themed snacks and desserts at the “Jingle Bell, Jingle BAM!” Dessert Party. Photo courtesy of Disney Parks Blog. After the party, attendees will be able to gain access to a reserved viewing area for TWO nighttime projection shows: “Disney Movie Magic” and “Jingle Bell, Jingle BAM!”. Reservations are now open! The event will run nightly from November 6th, 2018 through January 6th, 2019. Reservations can be made online at the Walt Disney World Resort Website or by calling (407) WDW-DINE (407 939-3463). “Mickey’s Once Upon a Christmastime Parade” returns to Mickey’s Very Merry Christmas Party. Photo courtesy of Disney Parks Blog. The staple of any holiday trip to Walt Disney World is Mickey’s Very Merry Christmas Party! Here’s what’s returning this year! Elsa lights up the castle once again in “A Frozen Holiday Wish”. Photo by Cliff Wang. 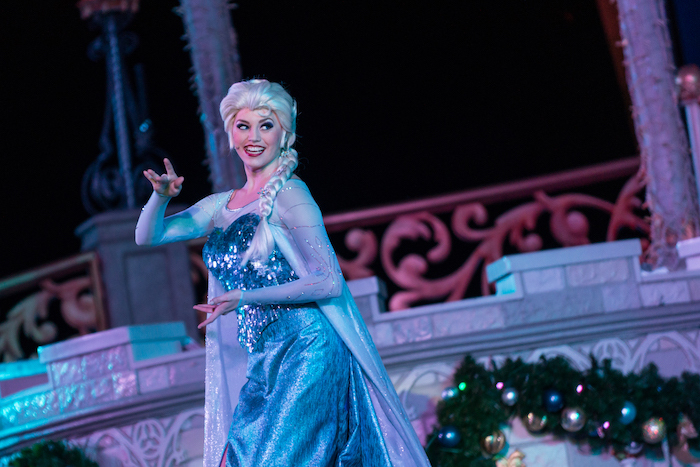 Elsa will light up the castle once again in “A Frozen Holiday Wish”. Every night at dusk watch Cinderella’s Castle transform into a frozen winter palace with the help of 300,000 holiday lights! “Mickey’s Most Merriest Celebration” returns to Mickey’s Very Merry Christmas Party. Photo courtesy of Disney Parks Blog. “Mickey’s Most Merriest Celebration” returns to the Cinderella Castle stage. Join Mickey and all his friends for the merriest holiday party around! 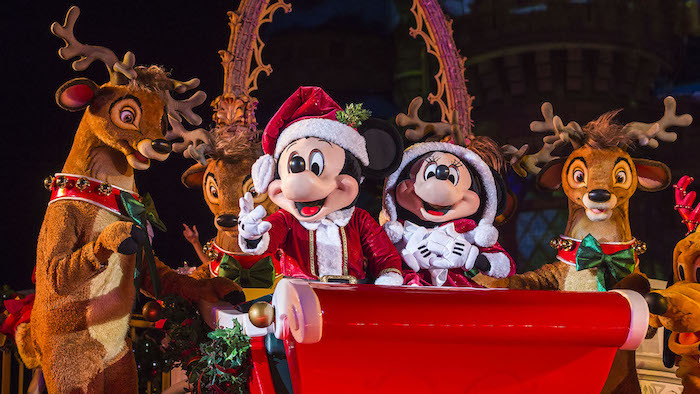 “Mickey’s Once Upon a Christmastime Parade” returns to Mickey’s Very Merry Christmas Party. Photo by Brett Svenson. “Mickey’s Once Upon a Christmastime Parade” will once again make its way down Main Street U.S.A. This iconic holiday parade features dancing gingerbread men, marching toy soldiers, prancing reindeer, lots of Disney characters, and even Santa Claus himself. You might even see it snow in Florida! 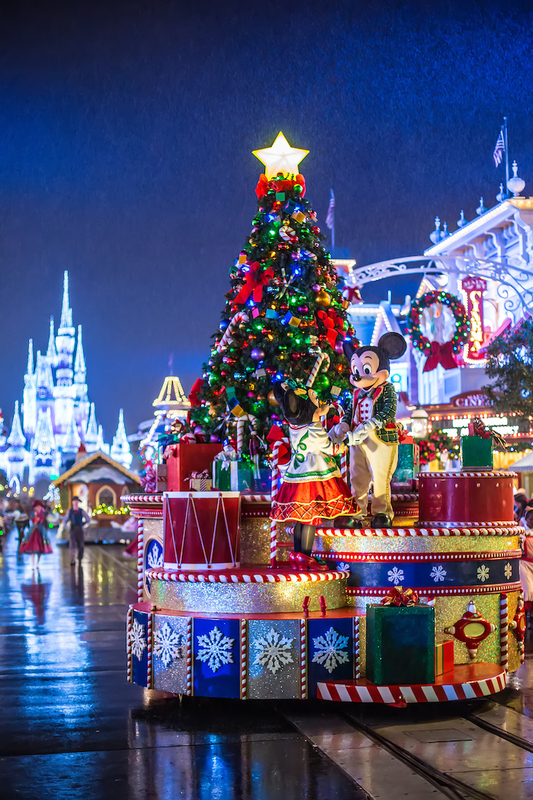 “Holiday Wishes Fireworks – Celebrate the Spirit of the Season” returns to Mickey’s Very Merry Christmas Party. Photo by Judd Helms. Another returning staple is the “Holiday Wishes Fireworks – Celebrate the Spirit of the Season” fireworks show. 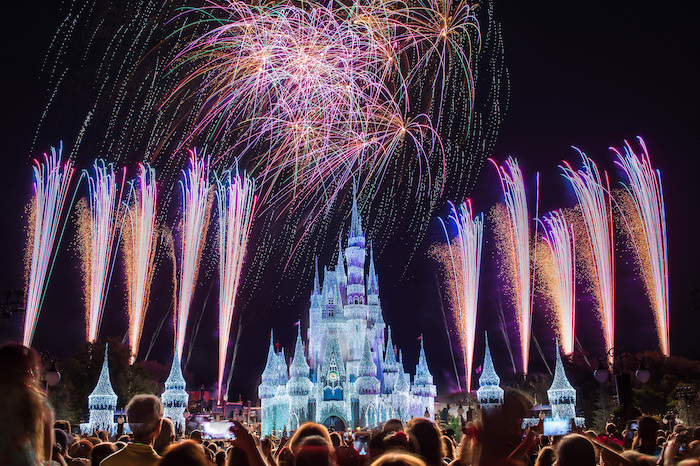 Watch fireworks light up the night sky over a beautifully lit Cinderella’s Castle. 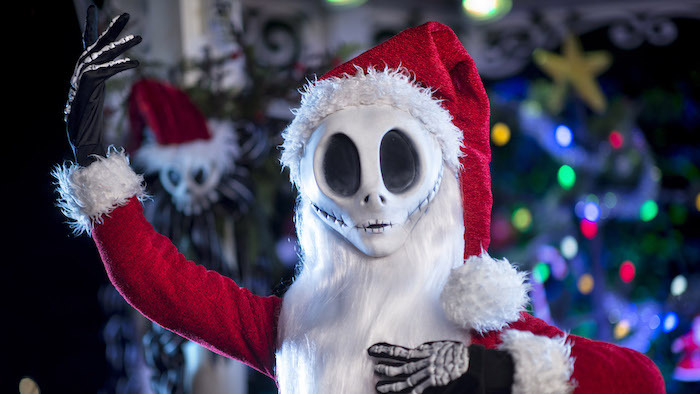 Guests can meet Jack Skellington at Mickey’s Very Merry Christmas Party. Photo courtesy of Disney Parks Blog. 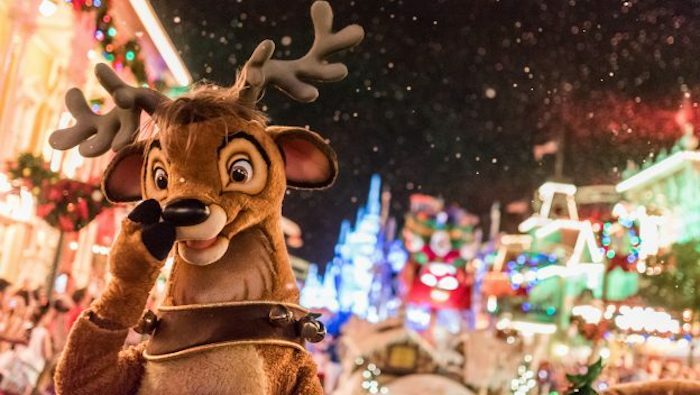 Between all the parades and shows, guests can enjoy complimentary hot cocoa and cookies, special character meet-and-greets, exclusive merchandise and more. Returning the character line-up this year are Jack Skellington as Sandy Claws, Scrooge McDuck, and more! Mickey’s Very Merry Christmas Party requires a separate admission ticket to attend. You can purchase tickets on the Walt Disney World Website. Epcot Candlelight Processional. Photo courtesy of Disney Parks Blog. The Epcot Candlelight Processional is a yearly tradition for many Walt Disney World holiday guests. Come watch your favorite celebrity narrator read the biblical Christmas story with the help of a 50-piece orchestra and choir. This year’s line-up features new and returning narrators. Check out the list! Celebrate the holidays at the Epcot International Festival of the Holidays. Photo by Cliff Wang. 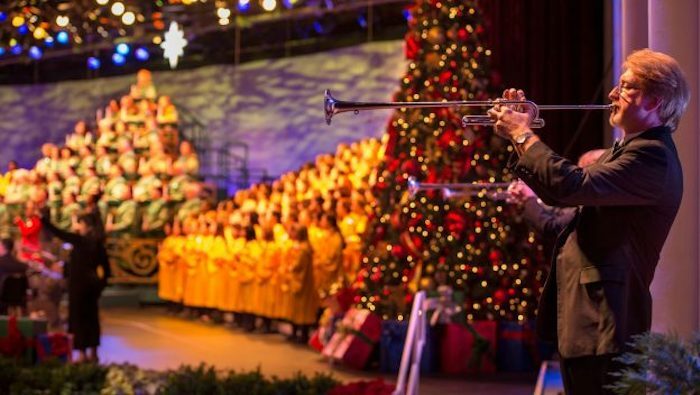 The Candlelight Processional is just one of the many offerings during the Epcot International Festival of the Holidays. Come try a variety of holiday meals and treats from around the world at the Festival of the Holidays food booths. Browse some of the new Disney holiday merchandise. And watch IllumiNations: Reflections of Earth during its last holiday season. 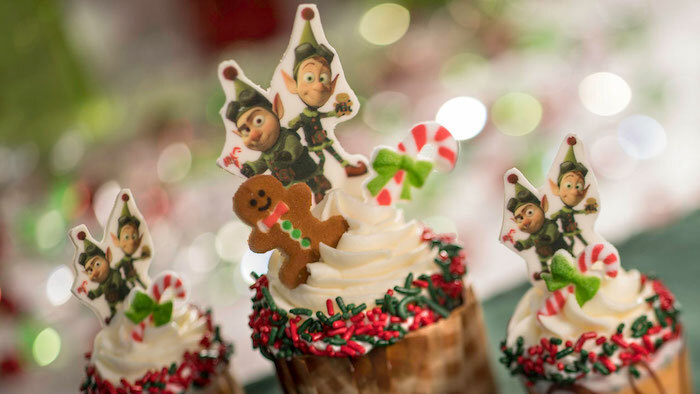 For more information about what’s coming to Walt Disney World for the holiday season, check out our Christmas in July blog post! 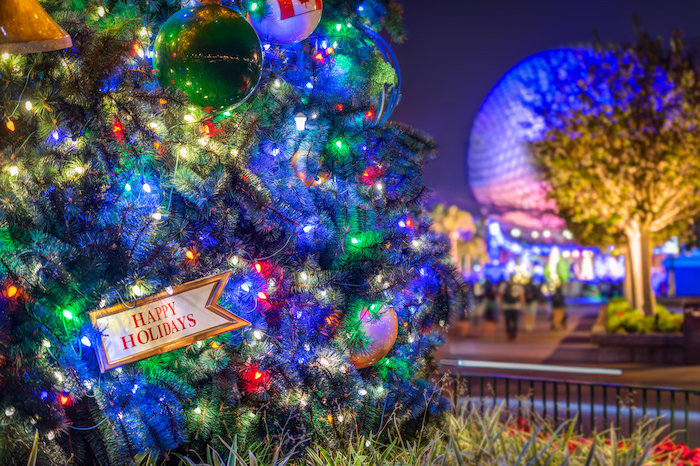 Love the holidays at Walt Disney World? Subscribe today!